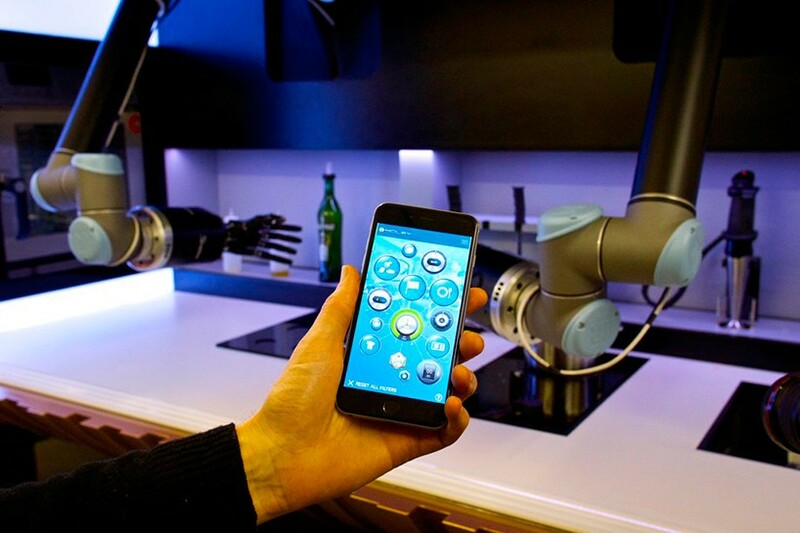 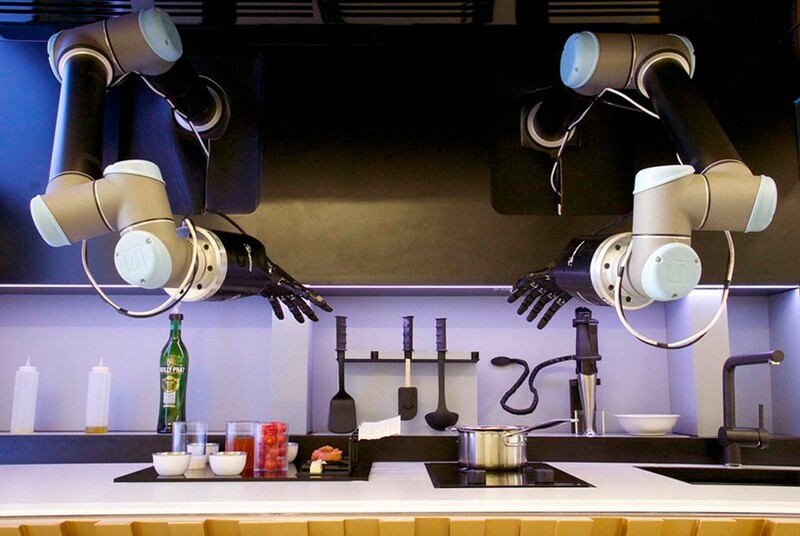 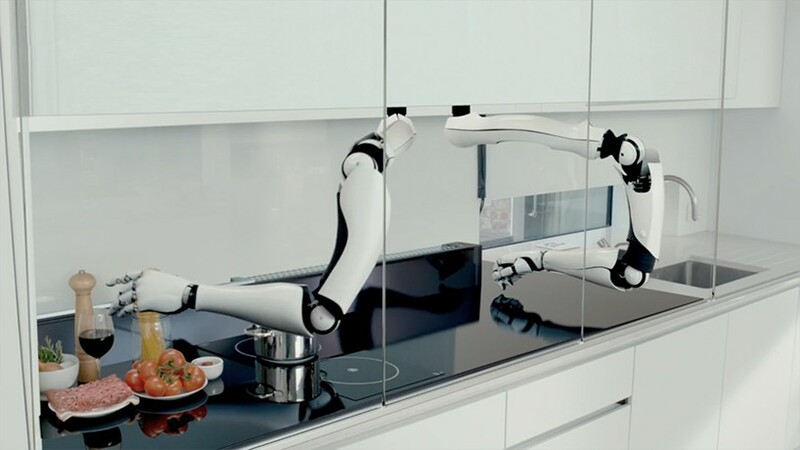 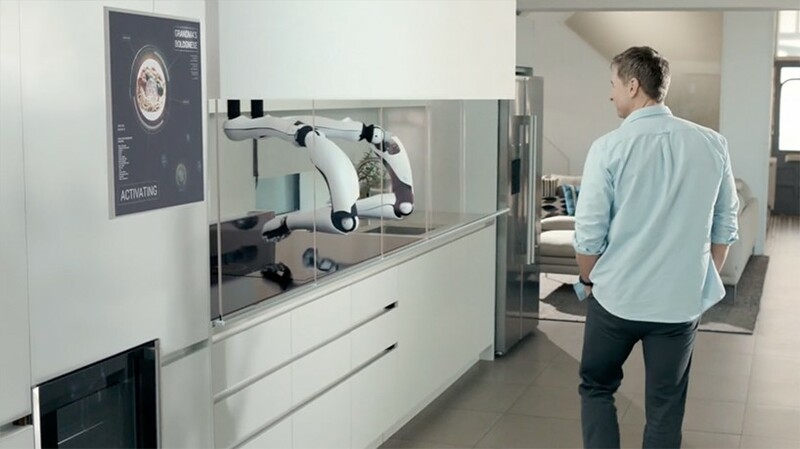 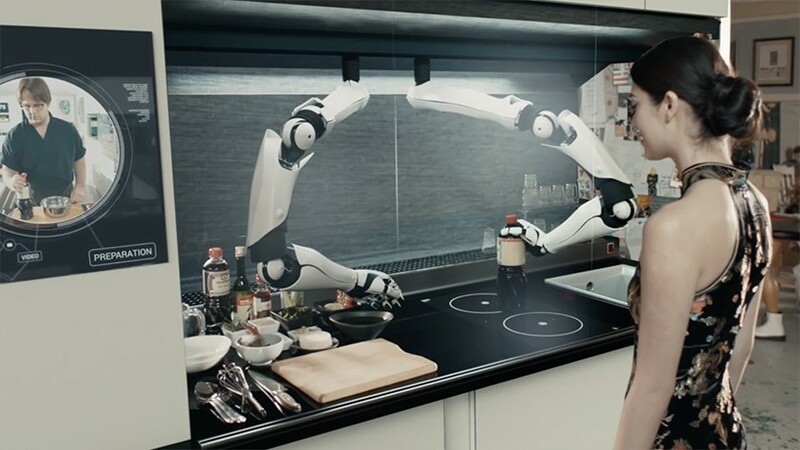 startup company moley, has created a robotic kitchen featuring an advanced, fully functional robot integrated into a professional kitchen. 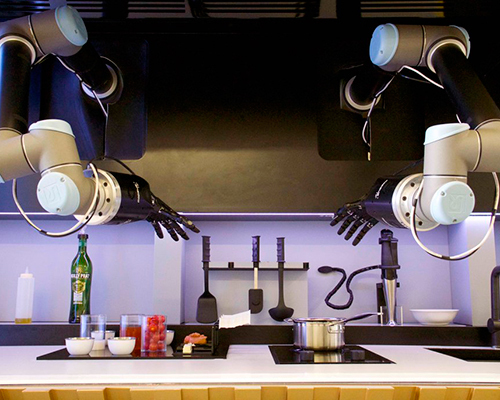 the prototype cooks with the skill and flair of a preprogrammed master chef and is set to launch in 2017. it’s the product of 12 months of development in collaboration with shadow robotics, yachtline, DYSEGNO, sebastian conran and standford university professor mark cutkosky. 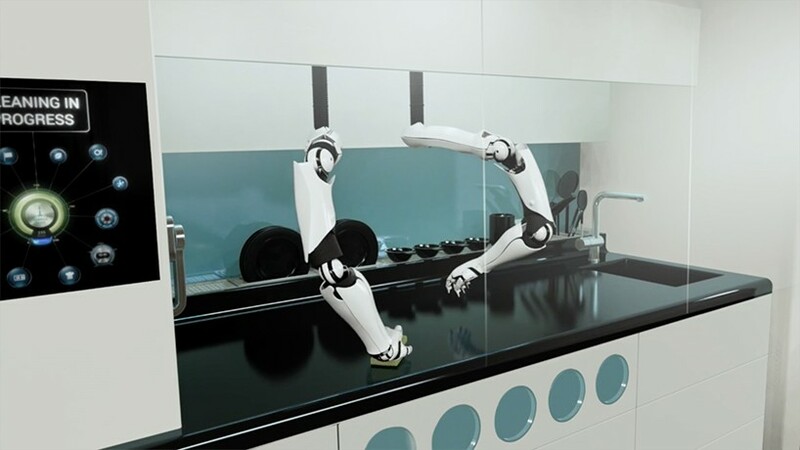 a pair of full articulated robotic hands reproduce the entire function of human hands with the same speed, sensitivity and movement. 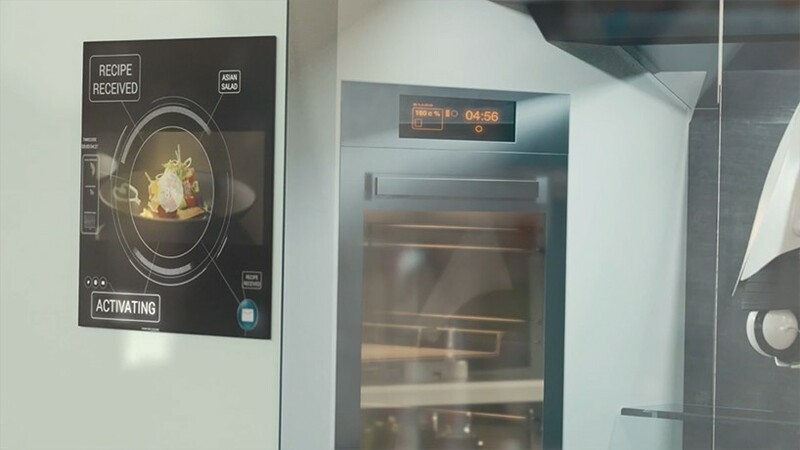 sophisticated yet compact, it will feature integrate an oven, stove and touchscreen unit.